Guess Intel executives should have placed a call to Redmond before banking too heavily on the PC market. On Thursday, Intel lowered its first-quarter revenue guidance by nearly $1 billion to $12.8 billion, as a result of weaker demand for business desktop PCs. The company blamed macroeconomic and currency conditions in Europe, but the primary culprit was lower-than-expected Windows XP refresh rates in small and medium businesses. Officially, the new guidance is $12.8 billion, plus or minus $300 million. For well over a year now, analysts have noted that the traditional PC market—notebooks and desktops—has been on the wane, with tablets and some two-in-one products picking up the slack. IDC, for example, said that PC sales fell 9.8 percent in 2013 and about 2.7 percent more in 2014. The fragile PC market is easily shaken these days. Increases in low-cost PC sales have eaten into profit margins, while Chromebooks have stolen market share. Currency fluctuations and other financial events also affect PCs. After Microsoft discontinued support for Windows XP last year, the one great hope has been that businesses would finally bite the bullet and buy new PCs for Windows 7 and Windows 8. Fortunately for PC vendors and Intel itself, that happened in the fourth quarter, when Intel reported record revenue numbers. But the company may have signalled problems ahead when it shelved plans for a new fab in January. So that phone call Intel should have made to Microsoft? The software giant reported its fourth-quarter earnings about ten days after Intel did. Microsoft said it had seen a 10 percent boost in sales of the “Professional” versions of its operating systems during that time, but those numbers had since reverted to normal levels. Company executives stated pretty clearly that the Windows XP refresh cycle was done with. 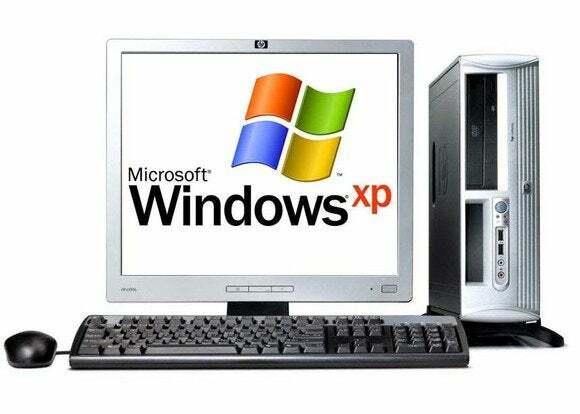 “As expected, the one-time benefit of Windows XP end of life PC refresh cycle has now tailed off,” Microsoft chief executive Satya Nadella said in prepared remarks. An Intel spokeswoman, however, said via email that while the XP refresh cycle for corporate PCs largely played out last year, the company had expected a similar refresh cycle to take place in small and medium businesses. That didn't happen. Intel’s first-quarter sales are historically the lowest point for the company, given that consumers still buy most of their PCs during the holiday season, when analysts discount them. But the one-two punch of the post-holiday lull and lower refresh rates probably signals a woeful couple of quarters for AMD, Intel, and the PC market in general. The story behind the story: There are signs of hope in the future, however, and it’s another refresh cycle: Windows 10. Microsoft and others hope that any customers who sat out Windows 8 will buy new PCs for Microsoft’s new operating system. With Windows 10 due to be released in the second half of the year, we could see a double bump—Windows 10 and holiday sales—to offset the double dip the PC market will take this quarter. Will it happen? Intel can only hope.